These are great not only for bread but you can put fruit in them for a morning brunch or do cute decorations matching the basket as center pieces on a dinning room table. Looking to add some beachy flavor to your next pool party? A few arrangements of these could be displayed around your patio or poolside area, switch up the sand shade to colors like aqua and teal. Add some pop to your outdoor sitting, you don’t need to buy a ton of chairs just a few as accent pieces. Fun colors that attract for a good time are lime green, lavender and a burnt orange. If you’re on a tight budget you can also go for bold seat cushions as well. If you’re having a nighttime celebration do it big with light up balloons they come in many signature shades. The lights can stay on or you can set them to a blinking effect, great addition for a birthday bash. For a couples theme party with friends make the scene more intimate with a simple votive style. Get a few sets of vases, any color votive of your choice along with either the flower head or a full stem and tie it to the vase with sparkly ribbon. It’s simple and all can be purchase at your local craft store. 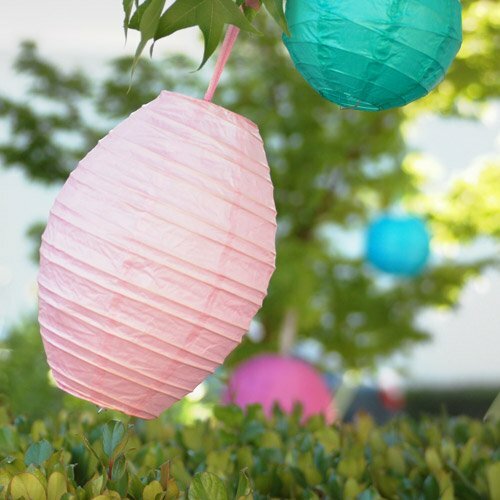 Paper lanterns are so fun for the summer season especially in amazing colors. Hang them on the trees, along side a balcony or stand them up in front of the entrance of your home. These are fun for kids and adult parties. Summertime means many family get togethers and nighttime partying. These are great ideas to use to make the gatherings more festive. I love any decor that lights up.